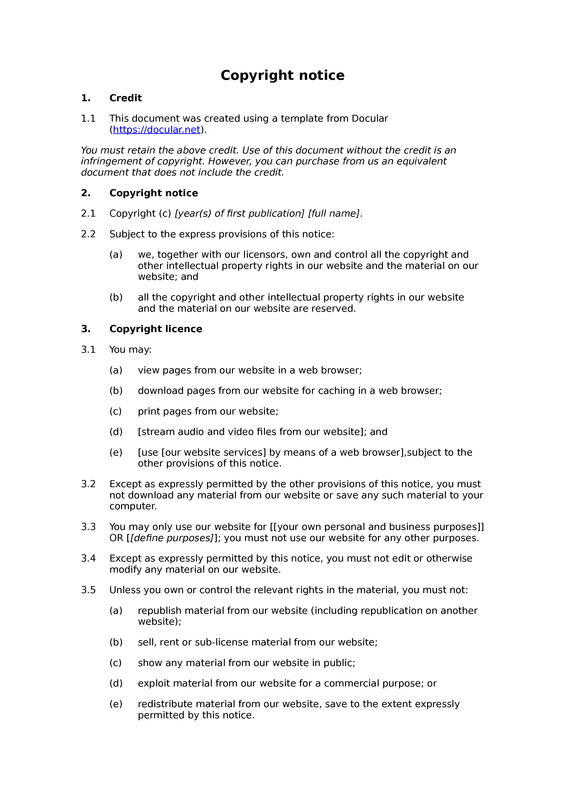 This is a copyright notice (or copyright statement) template, designed for use on a website. Copyright is one of the cornerstone intellectual property rights. Although websites as such do not attract copyright protection, they are made up of works that do (literary works, graphical works and so on). 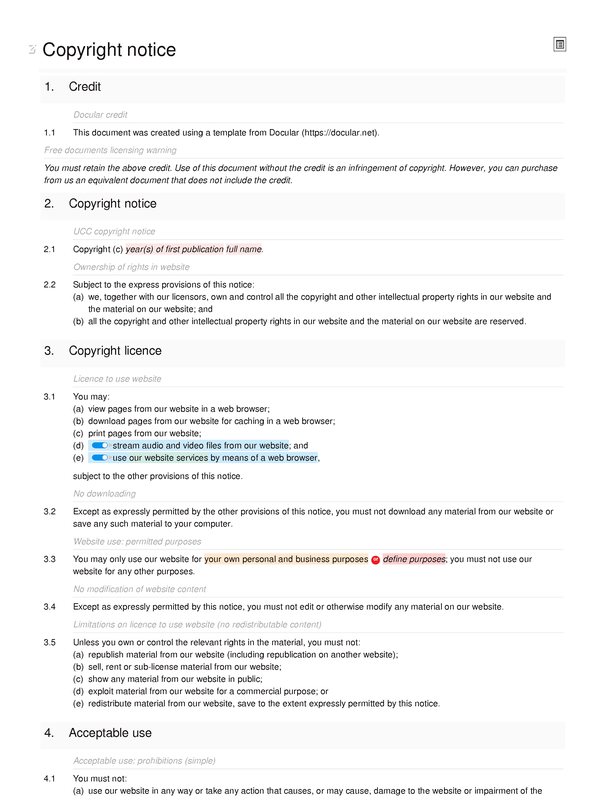 Using this template, the website operator may assert ownership of copyright in the website, and set out the basis upon which others may use the website. In addition, the notice incorporates special provisions relating to copyright infringement and copyright-related notifications. The template may be used on its own, or it may form part of a website's terms and conditions of use.